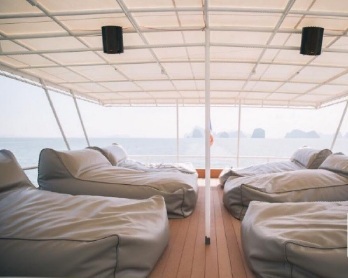 More relaxing space with sunbathe sofa more enjoying 30 minutes canoeing at Hong Island which is the most beautiful place and visiting James Bond Island. 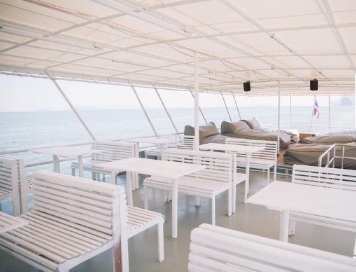 It is the ideal combination of two different style both modern and local The boat is designed based on your comfort. 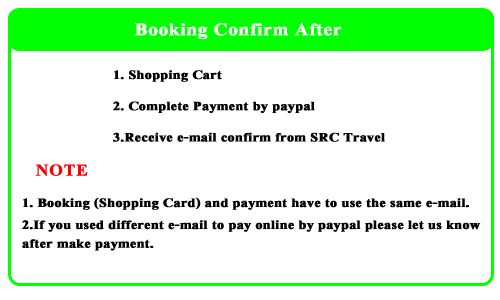 It is separated in 2 sections which are air condition zone and fresh air zone For fresh air zone, bathe sofas are provided for you Phang Nga bay. to allow yourself to enjoy relaxation moment next to Phang And at the outdoor zone, it is one of the greatest spot to capture some photos of the bay. 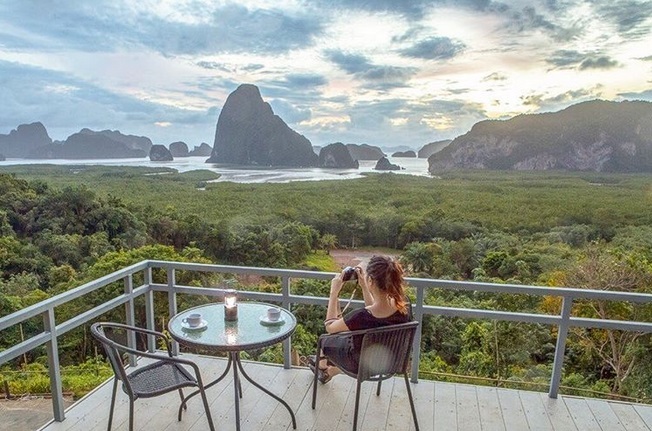 - Samet Nangshe View point has very quickly gone from being practically unheard to one of the most popular panoramas in Phang Nga. It provides stunning views over the limestone islets of Phang Nga Bay and being far enough away from civilization to avoid light pollution, the Milky Way is even visible at certain times. 07.30-08.00 Pick up at the hotel or meeting point. 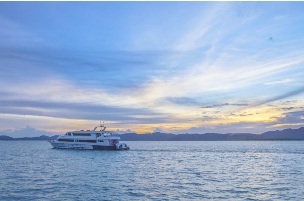 - Arrive at our private pier, where our journey to Phang Nga Bay and James Bond lsland will start from. 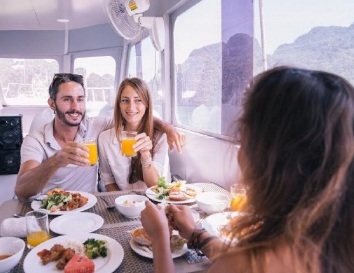 - Buffet lunch on the boat while the boat will pass the surrealistic limestone mountains, one of the unforgettable natural wonders in Asia, with its huge and all covered in green of trees, plants and rocks towering vertically out of sea water. 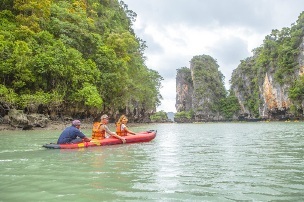 - Canoeing at the Hong Island which is one of the famous canoe sites in Phang Nga. Hong in Thai language means room and here at Koh Hong big and small limestone mountains which give you a feeling of being surrounded in a large hall with two doors. 17.00 Arrive at Phuket and Transter back to hotel.